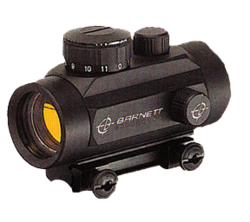 Barnett's Premium Red Dot Scope is simple to use, easy to see and extremely accurate. It is compatible with both Recurve and Compound Barnett Crossbows. 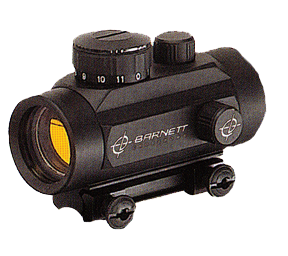 This dot reticle features 11 dot intensity settings with integrated 3/8" mounts.